Patrick Beverley is well on his way to making his 2016-17 season debut for the Houston Rockets. MDA said Pat Beverley won't play vs Philly on Monday but could at midweek. A rematch with Russell Westbrook on Wed in OKC. 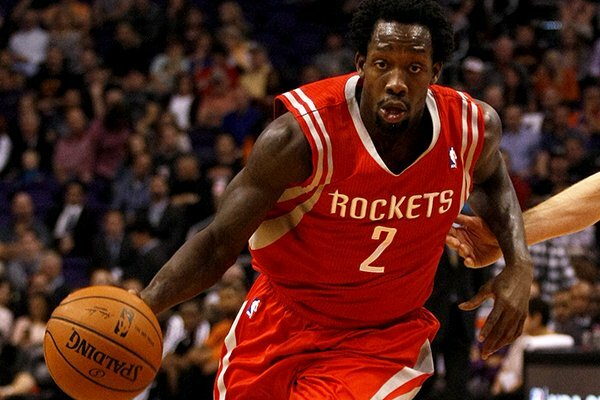 Pat Beverley had a hard practice on Friday and came out fine. Sunday will be a light session. Things look good for him. This news comes not a moment too soon, as far as the Rockets are concerned. It has become clear that they don’t have the requisite defensive depth to prop up their top-seven offense. Their two different starting lineups are, quite surprisingly, blitzing opponents on both sides of the floor, but most of their other combinations are defensive nightmares. While few expect this Rockets squad to be even average on the less glamorous, they cannot afford to be outright terrible—not when James Harden is sitting at least. Their offensive rating swings by more than 30 points per 100 possessions in the wrong direction when he sits, according to NBA.com. They need to be able to hold their own defensively during those stretches when he’s on the bench. Beverley, a notorious pest, will help the Rockets do just that. And though it’s enticing to think about what the starting five could accomplish with him instead of Corey Brewer or Eric Gordon, the bench has been horrible enough that Beverley is probably best served headlining the second unit.